You know a meal is good when the chatter stops and all becomes silent at the table once the food arrives. 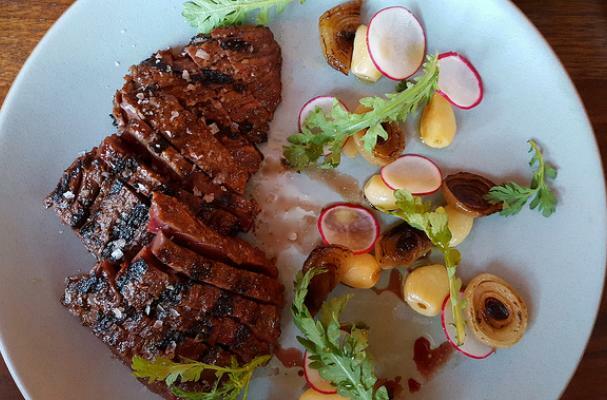 A recent dinner at Girin Seattle, an upscale Korean restaurant in the heart of Seattle's Pioneer Square district, had me spellbound and anxious to recreate their grilled skirt steak dish at home. 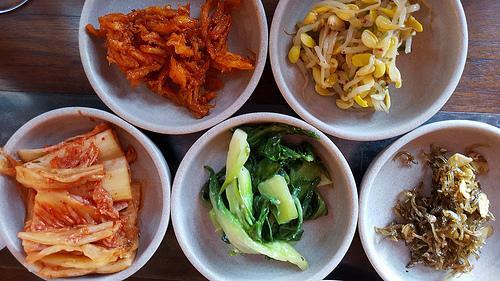 Served with banchan (little side dishes; see image below) and crisp leafy greens for wrapping, the unctuous steak was grilled to a perfect medium-rare, sliced, and served with whole roasted garlic and charred baby onions. And here's where things got crazy good: you grab a lettuce leaf, lay in a couple strips of steak, toss in some of those garlic and onions, then give it all a healthy schmear of ssamjang sauce. Ssamjang sauce (ssam means "wrapping" and jang means "sauce") is a spicy condiment with deep, bold flavors, a hefty kick of heat, and just a hint of sweetness. This dish hits all the right taste buds - fatty, salty, spicy - and delivered in a fresh, hand-held wrapper. If you're looking for a new twist to add to your grilled steak repertoire, this one is easy to do at home. We like skirt steak as it remains tender when grilled and has just the right amount of fat, but sirloin tip is also comparable as it has a similar loose grain that grills up nicely without being tough. Read on, your home-cooked Korean barbecue is just around the corner! Rub a whole head of garlic with olive oil and wrap in foil. Place in a 375° F oven for 30 minutes or until garlic is soft. When ready to serve, carefully remove roasted cloves from their skin and plate. Grill steak to the doneness of your liking, then remove from heat and allow steak to rest 10-15 minutes. Once rested, slice into 1/2-inch thick strips. Grill the onions while steak is resting. Lightly brush sliced onions with olive oil (or cooking spray) and place on the hottest part of the grill. Once deeply brown to slightly blackened on one side, carefully turn over and repeat. If your onions are quite small, use a grilling basket to prevent them from falling into your grill. Mix ingredients in a bowl, then adjust for seasoning. Use immediately or cover and refrigerate for up to a week. Editor's note: recipe is our recreation based on a dish from Girin Seattle (as shown in photo at top).